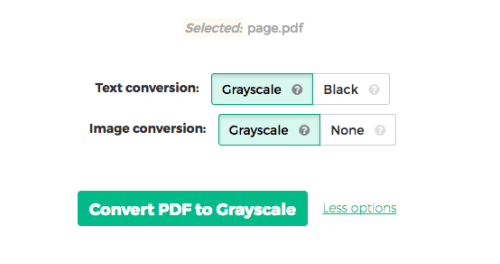 We’ve released a new tool: converting PDF documents to grayscale. What it does is it converts all text and images inside the PDF to grayscale. The most common reason for converting a PDF document to grayscale is to consume no coloured ink when printing it. Hope you enjoy the new tool! Please leave your feedback in the comments below.